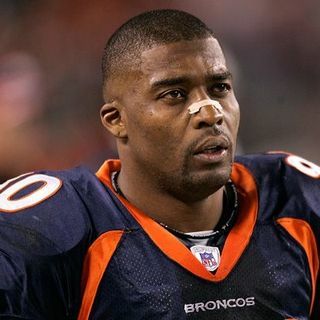 Rod Smith is an author, speaker, entrepreneur, business coach, and American Football Legend. He played 14 years in the NFL and retired with all the records for a non-drafted player. Just like his football career, Mr. Smith had to fight, claw, and scratch his way from public housing in Texarkana, Arkansas to the become a two-time Super Bowl Champion and future Pro Football Hall of Fame recipient. He is a highly sought after spokesman for several ... See More fortune 500 companies like the Denver Broncos, FedEx, Visa, Cadillac, Nike, and Intuit to name a few. He earned three college degrees in business. Growing up poor was a very humbling experience for Mr. Smith. As he climbed out of the ghetto to get full scholarships to college, he documented the process along the way. http://therodeffect.com - What Everyone With Dreams, Goals, And Desires Should Know About Success! LEARN - Eight simple philosophies that took Rod Smith from public housing to NFL Super Bowl stardom. Too many people are lost; they lack guidance and a strong support system to help them achieve the life they desire and deserve. In Rod's book, you’ll find stories of his life struggles and successes, plus ways to discover the answers you're seeking regarding your own quests.